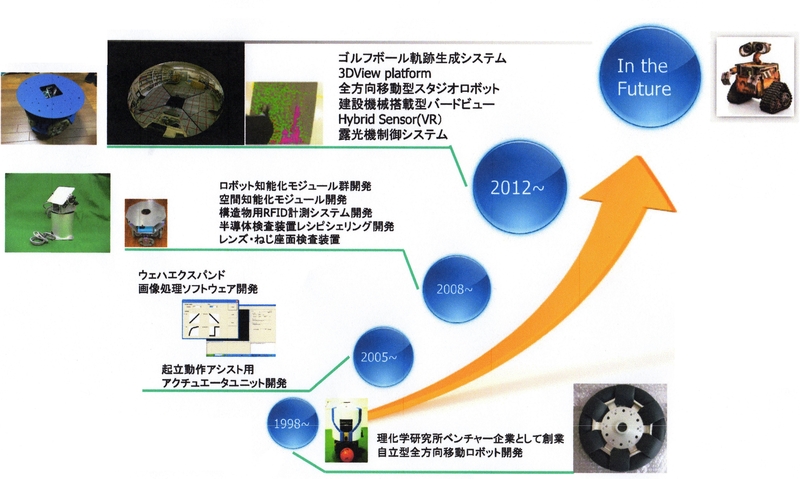 The RITECS have starting business as a RIKEN venture with core technology research results of RIKEN in 1998. Since starting a business ,we perform system development and consulting with robot technology that developed in the RIKEN and each research organization. We are developing and marketing the robot module to incorporate the robot technology easily. We can assist innovation by using robot technology. Copyright RITECS All rights reserved.